I like to review innovative products and this one is definitely just that. 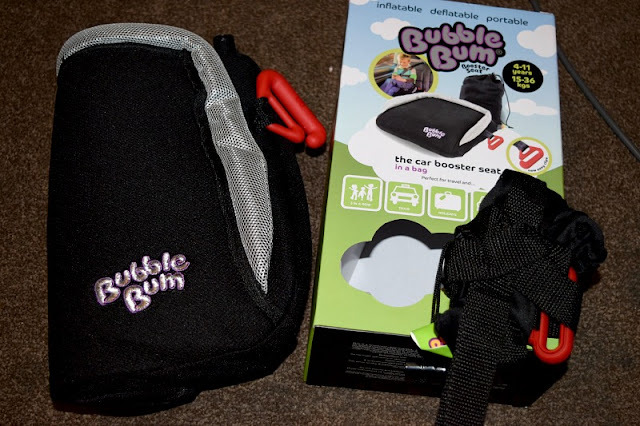 BubbleBum Carseat is an affordable, lightweight, compact, belt positioning car seat which is ideal for playdates, travel, taxis and rental cars. It has seat belt positioning clips in place of arm rests and fits in smaller spaces where other boosters won't. Making it possible to fit three kids across the back seat of most cars. It deflates easily after use making it portable and easy to carry. 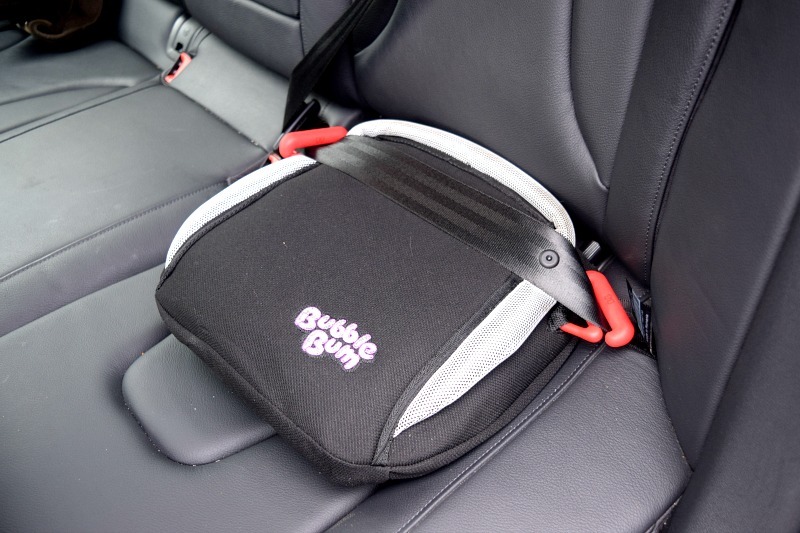 The BubbleBum seat is suitable for children age between 4 and 11 years who weigh between 15-36kgs and should only be used with a normal 3 point vehicle seat belt. Obviously having three small children, all at the age of still needing a car seat, I know all too well how hard it is to fit three car seats in the back of a car. Most people buy a larger car when they have a third child but I actually don't drive and now that I am alone, I sometimes have to rely on lifts from friends who don't necessarily have room for three car seats in their car. 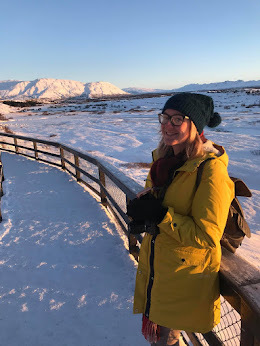 I also travel a lot for blogging events and if I am coming home late on the train with the children I will often jump in a taxi to get us home and have always hated how unsafe travelling in a taxi with children is. There are also some clever extra uses you can use the seat for, you could use it in a cinema so your child can see the screen easier, you could also do similar in restaurants etc. rather than a highchair. The seat cover is washable so getting it dirty isn't a problem. It also comes with a travel bag with hook so you can take it about with you or even attach to a pushchair. It folds up very small and you inflate by blowing through a plastic cap which screws tight to hold the air in. It automatically releases the air when untightened too, making it really quick and easy to use. We have used the BubbleBum seat a few times in the past couple of months and it has been really handy. I have also found out that my child-minder friend uses one too and also really rates it. It is such a clever and convenient product. 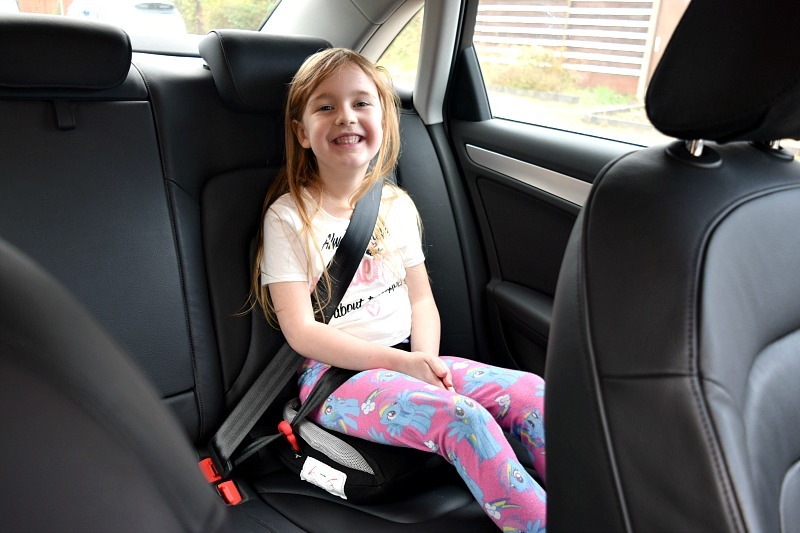 I wouldn't use it as a main car seat for one child but for all the reasons it is recommended for, it is perfect. You can purchase a Bubble Bum carseat at www.bubblebum.co or it is available at a range of retailers including John Lewis and Boots.